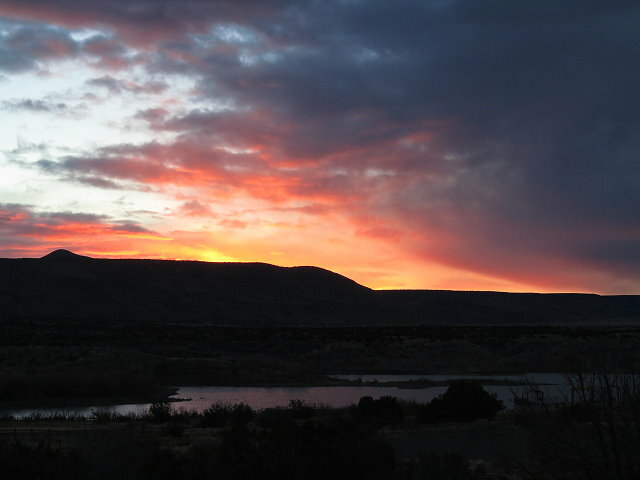 Friday November 25th, the morning is sunny and calm at Cochiti Lake. Today I start editing the next book in the Novels of Shannon series, an amazing epic fantasy series that happens to be written by my daughter, Angela MacDonald. In the afternoon, it is warm enough sitting on the sunny side of Terry to play my cello outside, even though the thermometer reads 54 degrees. I search for the lost necklace I got from my mom and am sad that I can’t find it anywhere; the sadness is really more about losing my mom, and knowing that someday I will lose myself, at least in the way I know me now. Saturday November 26th, I head down to the restroom at dawn. 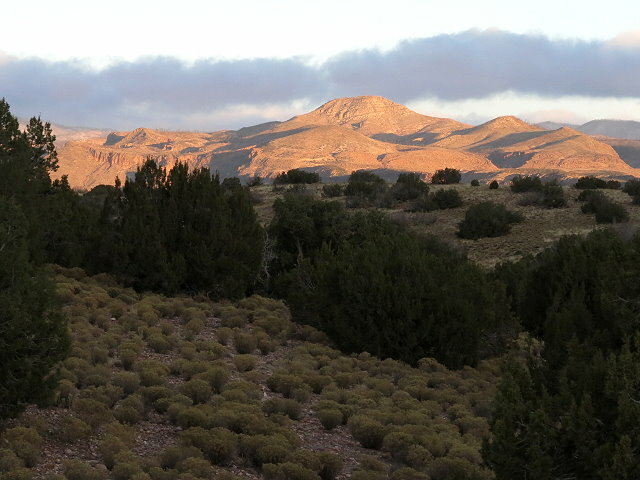 As the sun rises, the mountains to the north take on a pretty color. 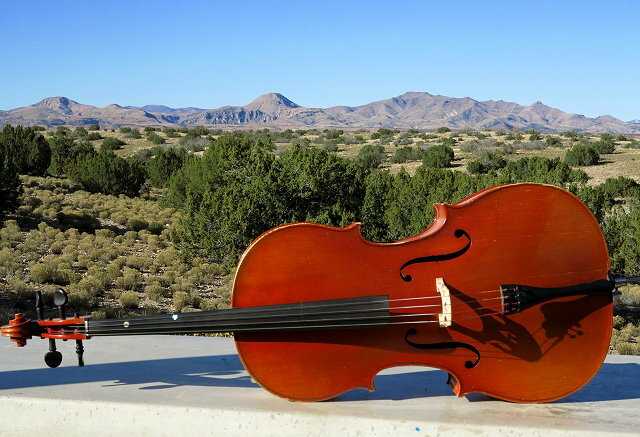 Today is windy, so no playing cello outside. Good day to be inside: write in the journal, edit a chapter for the Montana author, edit another 10 pages for Ang, send thank you emails to recent CI donors, post a blog/photos of Canyonlands NP on my website, and edit photos for the next blog. This evening a tooth is feeling very tender in spite of good dental care. Not a great way to end an otherwise very productive day. Sunday November 27th – there was rain in the night and a dusting of snow can be seen on the mountains to the north this morning. 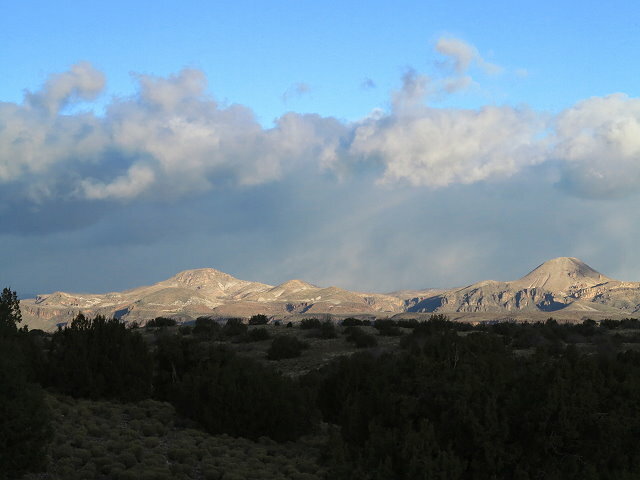 Our long-time Tesuque friend, John, comes out in spite of the very windy day. We get caught up on the news and I fix lunch for us. Then John, bless his heart, helps Clifford change Terry’s regulator. Hooray! No more leaking propane. In the later afternoon, Clifford has a business call, while I do another blog with photos for the website – Mesa Arch, which are some of my favorite photos on this trip so far. Edit several more pages for Ang. This evening, my jaw is a little swollen – not good. but we will not be here to enjoy it, as a trip to Urgent Care in Santa Fe is the priority for the day. See a good doctor at the Urgent Care; he prescribes an antibiotic for me and recommends his dentist, with whom I make an appointment for Thursday. On the way back to Cochiti Lake, we get groceries while picking up the prescription; not a happy shopping experience what with the pain and swollen jaw. Arriving at the campground, we find out that the campground is closing Wednesday, which makes for complications since I have a dentist appointment the following morning. Oh well, I am not up to figuring it out tonight. I make soup for myself for dinner and then go to bed, leaving the dishes for Clifford. Tuesday November 29th, my jaw is more swollen than ever, but the Urgent Care doc warned me this could happen, so not to worry. 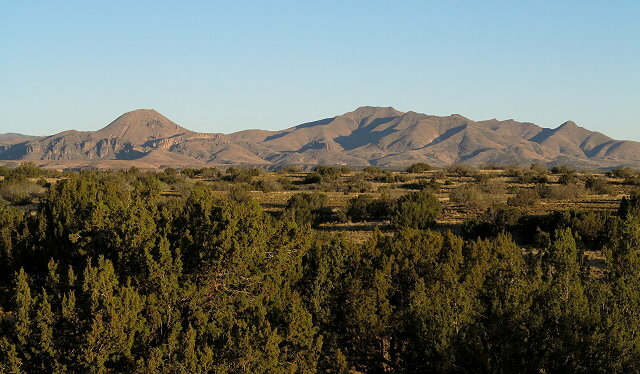 Since the campground is closing, we will not be in the Santa Fe area as long as we had planned and what with this tooth issue, even the days that we have in the area will not be spent visiting friends. Bummer. Phone calls and texts give friends a heads-up that our plans have changed. With the weather being what it is, there is not really anywhere else near Santa Fe where we can go; we must head south instead. The dentist office calls; they can see me tomorrow instead of Thursday, which will work much better for us. 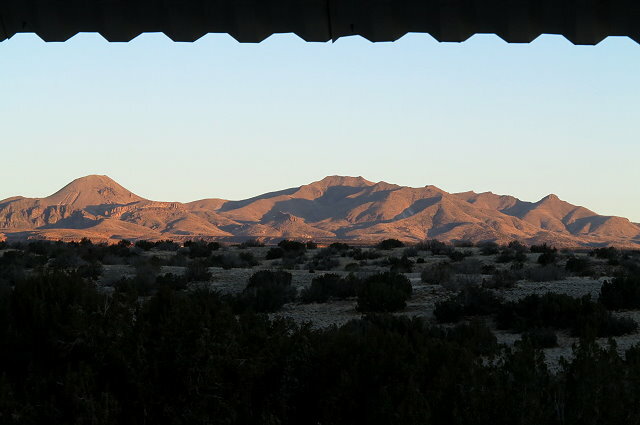 Wednesday November 30th, we leave for Santa Fe as early as possible, as one thing I had wanted to do in Santa Fe was shop at Natural Grocers, Trader Joe’s, and Hobby Lobby – stores that are not in the smaller towns that we go through. After the errands, we head to the dentist office for a consultation; the tooth is pulled and bone graft material added. With Care Credit I have several months to pay it off. 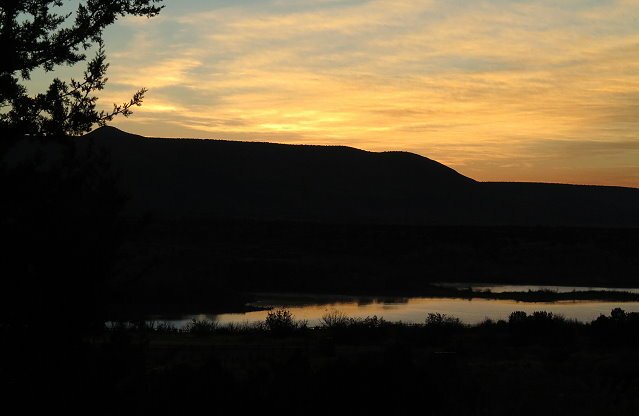 We go back to camp, unload the groceries, and then Clifford heads back to Santa Fe to pick up mail that John has collected for us; I just wasn’t up for waiting around that long. I have sweet potato soup and tea for dinner, talk to my daughter, Becka, and then read in bed until Clifford returns.